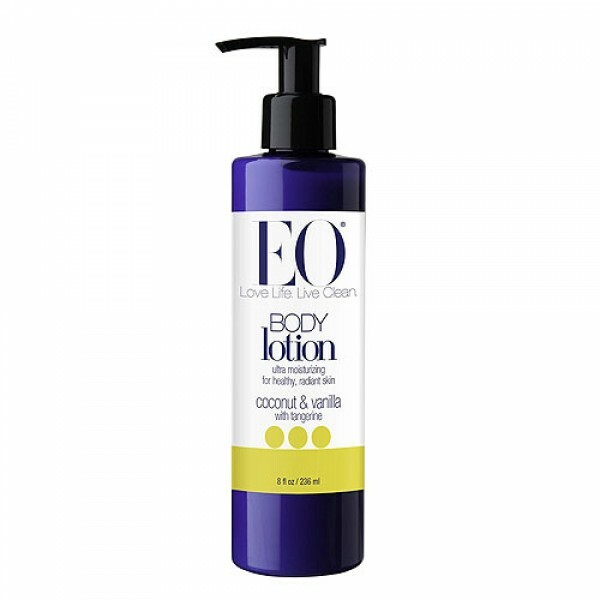 Refreshing Coconut and Vanilla with tangerine lightly nourishes and refreshes skin. Purified Water, Vegetable Glycerin, Organic Jojoba Oil, Caprylic/Capric Triglyceride, Cetearyl Olivate & Sorbitan Olivate, Glyceryl Stearate, Cetyl Alcohol, Stearyl Alcohol, EO Essential Oil Blend [Grapefruit (Citrus Grandis) Essential Oil, Orange (Citrus Aurantium Dulcis) Essential Oil, Lemon (Citrus Medica Limonum) Essentail Oil, Tangerine (Citrus Reticulate) Essential Oil], Cetyl Esters, Vanilla (Vanilla Planifolia) Powder, EO Organic Herbal Blend [Organic Aloe Vera (Aloe Barbadensis) Leaf, Organic Chamomile (Matricaria Recutita) Flower Extract, Organic Calendula (Calendula Officinalis) Flower Extract, and Organic White Tea (Camelia Sinensis) Leaf Extract], Mango Seed (Mangifera Indica) Butter, Hydrolyzed Rice Protein, Organic Sesame Oil, Organic Coconut Flavor Extract, Tocopherol (Vitamin E), Betaglucan, Phospholipids, Xanthan Gum, Sodium Phytate, Dimethicone, Phenoxyethanol, Ethyhexylglycerin. 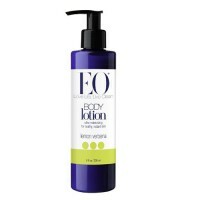 Apply lotion anytime to hydrate and protect skin daily from head to toe.